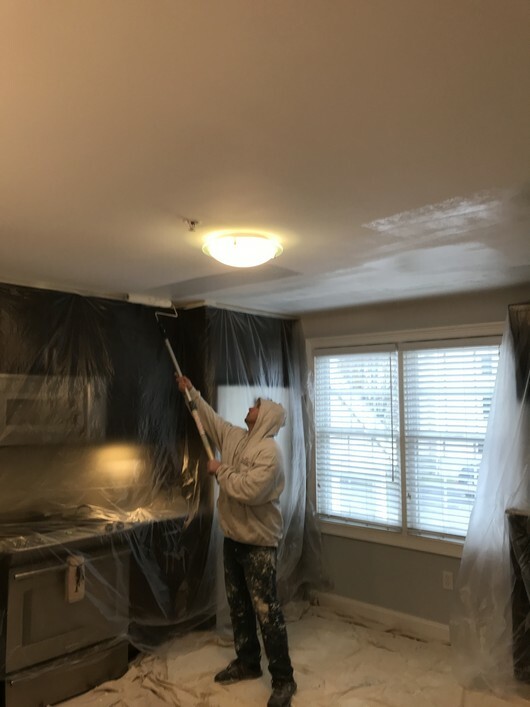 Nicks Pro Painting fixed water damage on ceiling and using oil primer on water damage end, repainting the entire ceiling. 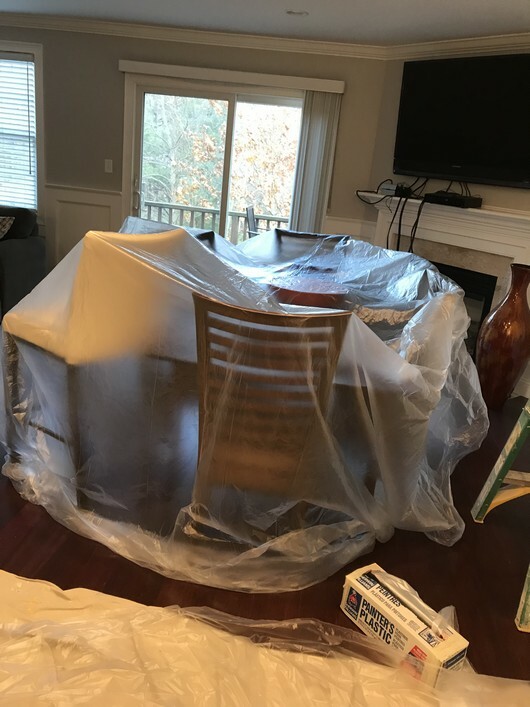 We covered all hardwood floors and all the furniture. 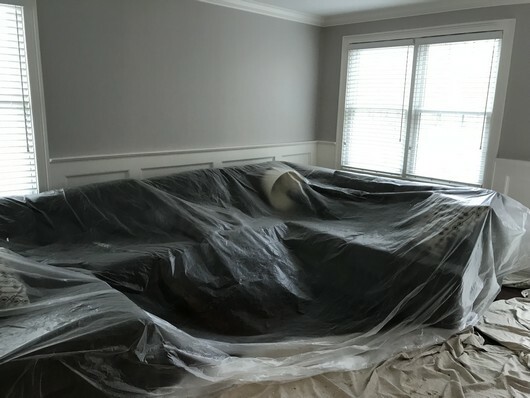 The job was done quickly and clean. 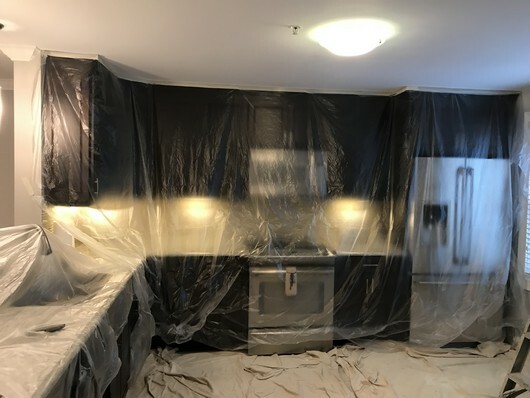 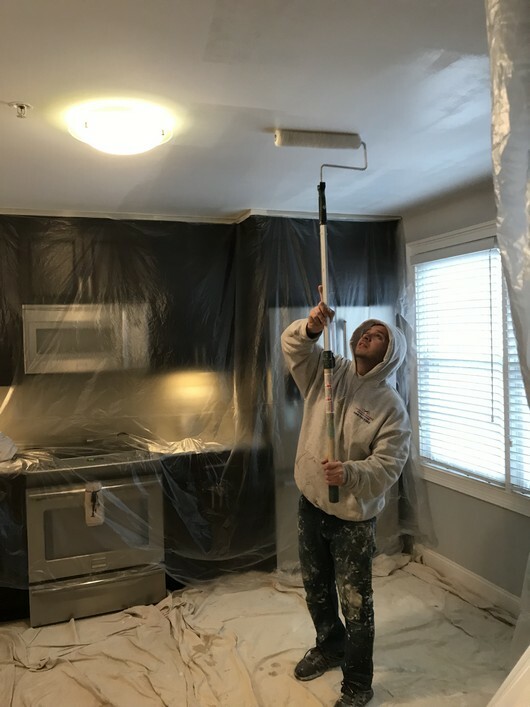 If you are looking for a professional Kitchen and Living Room Ceiling Painting service in Framingham, MA, then please call 508-745-7352 or complete our online request form.